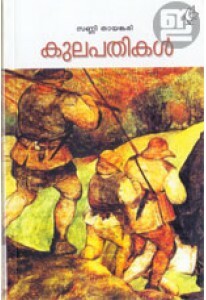 Kate Chopin's famous novel 'The Awakening' in Malayalam translated by Krishnaveni. The plot centers on Edna Pontellier and her struggle to reconcile her increasingly unorthodox views on femininity and motherhood with the prevailing social attitudes of the turn-of-the-century American South. It is one of the earliest American novels that focuses on women's issues without condescension. It is also widely seen as a landmark work of early feminism. Early critics condemned 'Uyirppu' for its amoral treatment of adultery, and some readers today share that view. But from the 1960s on, most scholars and readers in the USA and abroad have come to think of Kate Chopin as "the first woman writer in her country to accept passion as a legitimate subject for serious, outspoken fiction."